This package divides your stay for 1 night on board in Ha Long Bay and 1 night in a luxury Vietnamese house in Yen Duc village. The tour is a great combination of unique experiences, both natural landscape discoveries and cultural exchange. 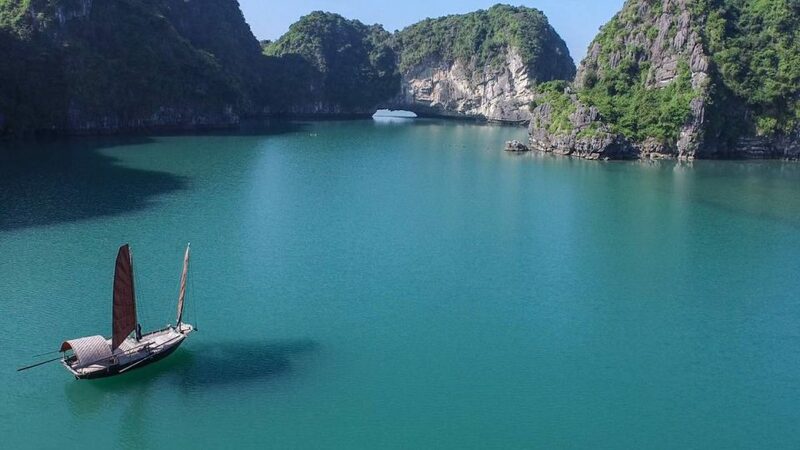 This village tour is managed by Indochina Junk and is local community based. Yen Duc village is just on the way between Hanoi and Ha Long Bay, creating a very easy and accessible place. It is worth staying more to enjoy it to the full. 07.35 – 08.00: Pick up at your hotel in Hanoi Old Quarter by our luxury van service. 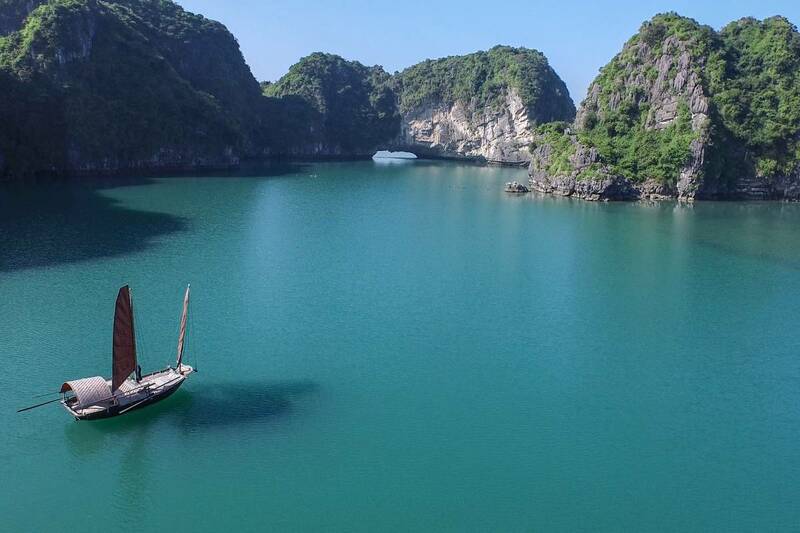 Enjoy local landscapes on the road while the driver takes you to Halong Bay. You will reach Hon Gai International harbor at about 12:00 and then meet our staff there and check in onboard. The crews will welcome you with a fresh drink, followed by a cruise briefing presented by the tour guides. 13.30: Admire the marvelous Halong Bay with limestone pillars and wonderful karts while having lunch onboard on the way out to sea. The cruise takes you to explore an off the beaten path island called Hon Co island. Then follow the guide to visit the well-hidden Thien Canh Son cave, which is high on the top of the island. Or, you can save the time to relax on the beach, swim around or try the kayak without any surcharges. Back to the junk for refreshments before having dinner on board at about 18:00. You spend the night on the bay. End of day 1. 07.00: Wake up and see the sunrise and morning view of Halong Bay’s landscape with a cup of tea or coffee. Have breakfast in the fresh air. Then start cruising to Vung Vieng fishing village to discover the unique beauty of the floating village by a rustic row-boat at 8:30 a.m.
10.00: Back to the boat and check out of the cabin. Enjoy an a la carte lunch with many kinds of tasty dishes onboard. 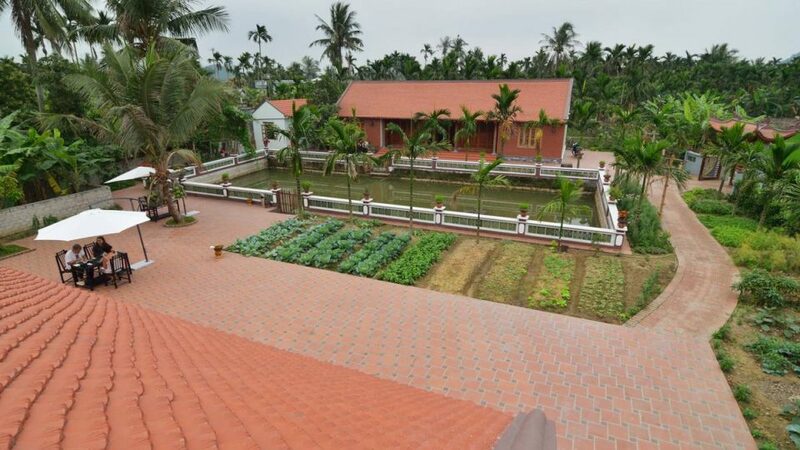 You will reach the Hon Gai International harbor at 12:00 and drive to Yen Duc village – a local Vietnamese village rich in culture and tradition. 13.30: Arrive at Yen Duc village where you will be welcomed with the warm hearts of local villagers, as well as the tour guide. After checking into the luxury room in Viet House, you have free time for discovering the poetic landscape. In the afternoon, the tour guide takes you to visit an ancient house in the village to gain a deeper understanding of Vietnamese family traditions, and to spend time with the host. After that, you can experience the farming works such as milling and pounding rice, picking vegetables, gardening, and fishing. Then interact and exchange with local people. After the delicious dinner with local foods at 18:30, you will participate in the farmer’s daily life or make traditional Troi (floating rice) cakes with the host. 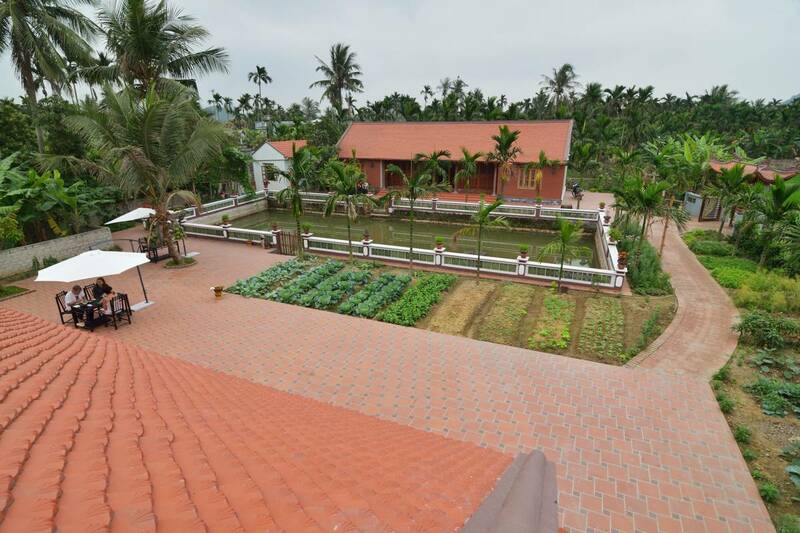 Spend the night in the luxury and authentic Viet House in Yen Duc Village. 06.30: Start a new day with Tai Chi session. Then have a light breakfast before cycling around the village in the fresh air, passing a local market to see the daily lives of villagers and visiting the culture house of the village. In the morning, you can visit a local house and learn about their handicraft work. Then return to Viet House, pack your luggage to check out and have lunch. Until 13:30, you will enjoy water puppet show performed by local artists, and a farewell. Arrive in Hanoi and tour ends at about 5:00 pm.